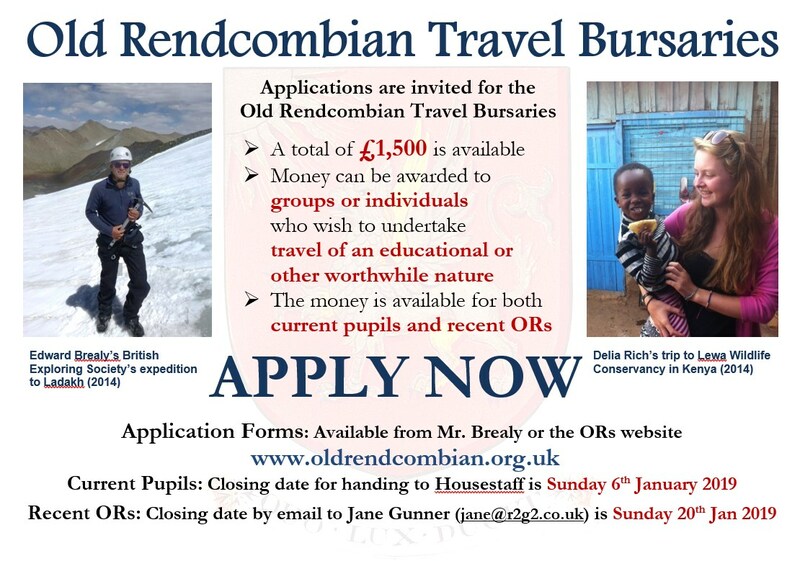 If you or a group would like to apply for the annual Old Rendcombian Travel Bursary, please download and complete the application docx form here, or download and complete the application pdf form here. Please read the Terms and Conditions on page 4 of the application form carefully before making your application. If approved, you will be required to write a report and provide photographs of your travels and may be invited back to the College to talk to current pupils. Applications for the 2019 award are now closed. Closing Dates in January 2020 will be posted later.